We have partnered with a number of other schools spanning across the Essex area. 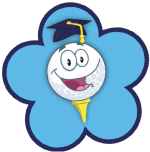 We currently run golf programmes at a number of schools. One of our partnerships is with New Hall School, Chelmsford. The School of Golf have been working alongside New Hall School since 2013. Within that time a pathway from beginner golfer to academy representative has been set with sessions available for students from the age of 5 right up until 17. We have successfully partnered with a number of other schools spanning across the Essex area. We have received extremely positive feedback from both students and schools, below are just a couple of testimonials from Head Teachers of schools we work with. “Matthew ensures the session are good fun and also that the pupils learn the skills needed to enjoy the sport. A very professional organisation."